These days, many children know someone who serves or has served in the military, whether it’s their father, mother, aunt, uncle, grandparent or teacher. Doing something to celebrate Veterans Day with kids is a great way to honor those they love and all who have served the country. 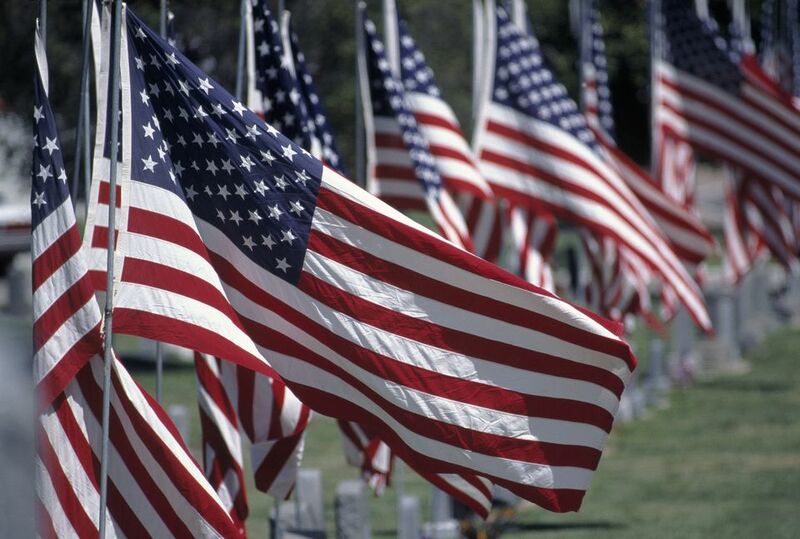 In the U.S., Veterans Day celebrates the people who have served in the military during times of war and peace. It’s held annually on November 11th and is also called Armistice Day. Other countries, including Canada, Great Britain, and Australia, observe a similar holiday called "Remembrance Day" on or near November 11th. Ask kids to bring donations of beef jerky, DVDs, CDs, books, magazines, leftover Halloween candy and phone cards to your house. You supply the packaging and postage. During the party, the kids write letters to veterans stationed overseas and sort the donated items into boxes that you’ll then send off to the troops. Since, for safety reasons, packages addressed to "any soldier" cannot be accepted, it's best to call a nearby military base to find out how best to reach troops in need. Just because kids are too young to serve in the military doesn’t mean they can’t serve their country in other ways. On Veteran’s Day, invite a group of your child’s friends to help at a soup kitchen, pick up litter, bring treats to a senior center or volunteer their time in some other way. When you're done, invite everyone to your house to eat an all-American meal. If it’s warm enough where you live, organize a neighborhood Veterans Day parade. First, call your local law enforcement agency to find out whether you need a parade permit. It’s likely that you won’t, but it’s best to check. Then, send out fliers at least two weeks beforehand informing everyone of a time and place to meet. Encourage kids to decorate their bikes and wagons with red, white and blue streamers, or hold a decorating session in your garage about an hour before the parade starts. Make large signs that say “Thank You, Veterans” and march down the street singing patriotic songs. Very young children might enjoy a make-and-take craft party on Veterans Day. Set up three or four craft stations, such as for making Liberty Bells out of Styrofoam cups, star-shaped paperweights, or red, white and blue paper candles. Another idea is to sew your own American flag. Older kids might enjoy Veterans Day learning activities, such as word searches and crossword puzzles. They could also draw a family tree with pictures of relatives who have served in the military. Throughout Veterans Day—or on any day, really—ask your children to thank the servicemen and women in your community. That could mean making cards and bringing cupcakes to patients at a nearby Veterans’ Administration hospital or simply saying “thank you” to people they see in uniform. Even if your kids don’t know someone directly involved in the military, Veteran’s Day can be an opportunity to teach them about the sacrifices other families make for their country. Teenagers might be interested in having a serious discussion about the topic, but be careful about how you approach the subjects of war and military defense with young children. Too much information at too young an age could scare them. With the littlest kids, focus on the patriotism of the day or the peace that would one day bring everyone home. A red, white and blue cupcake or a dove-shaped cookie would no doubt be an appreciated treat in their lunch boxes.